Beneficiary forms for your NYCDCC Annuity Plan through Prudential are now available on our website. 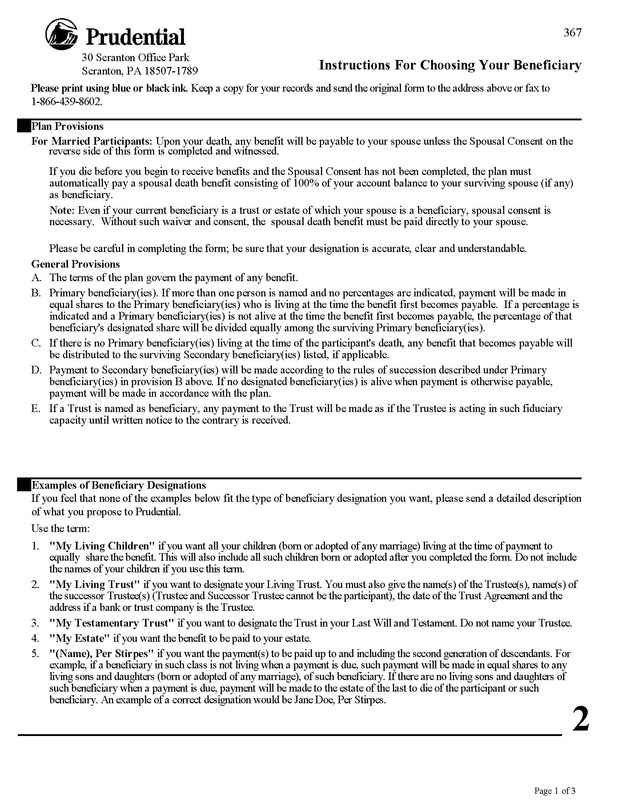 These forms can be found in the Annuity section at www.nyccbf.com/member/annuity, or the Member Documents section at www.nyccbf.com/member/members-documents. You can also get the form directly by clicking here: www.nyccbf.com/wp-content/uploads/2018/08/Prudential-Beneficiary-Form.pdf. Once you locate and print the form, please be sure to fill it out in its entirety and send it to Prudential using the address or fax number indicated on the form. We highly recommend that this form is completed so that, in the event of your untimely passing, your Annuity savings are transferred to your desired beneficiary. Please note that this beneficiary form only applies to your Annuity account. A separate beneficiary form must be completed to cover your Welfare and Pension benefits through the NYCDCC. If you have not filled out this form or wish to change your beneficiary, you can locate it here: www.nyccbf.com/wp-content/uploads/2014/01/NYCDCC-Beneficiary-Designation-Form1.pdf. *NYCDCC members who were participants in the Annuity Plan prior to 1993 are required to fill out an alternate beneficiary form. You can obtain this form by contacting Prudential directly at (877) PRU-2100.